These are the captions given for the poster for the 20th Year remembrance. 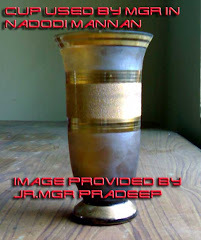 The Poster size is 10 feet in width and 4 feet in height, which was very big to cover the image in my Nokia phone. 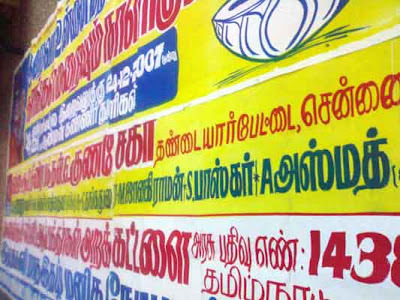 This giant size poster was done by Kalaiventhan MGR Bakthargal Trust (Regd. 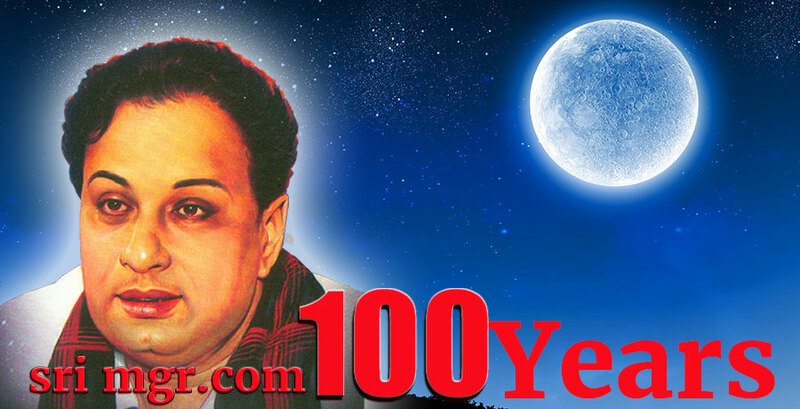 No.1438 Tamilnadu) – G.Gunasekar, MGR Devotee, Chennai. He regularly comes out with these kind of posters for functions and celebrations in Theaters. "Iraiva Ummai Marakum Nal Nangal Mariyum Nalagum" very sensitive line. In English "The Day we forget you is the Day we have died"
The 6 sheet poster was forwarded by Sathya of Ponmanachemmal Sri MGR Bakthargal Kuzhu. Posters will hit the street within the next 4 days, Chennai MGR Fans, Devotees as well as common men can see this on 22nd but the World can see this Poster today. Thanks to INTERNET. 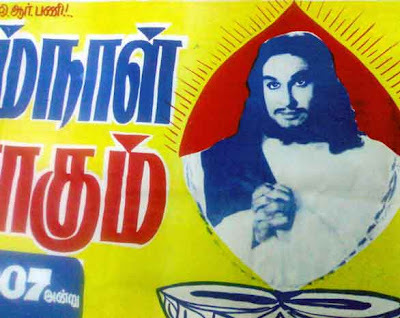 Note they have also included Jesus picture of MGR to convey the wishes for Christmas. YOUR Comments are welcome. 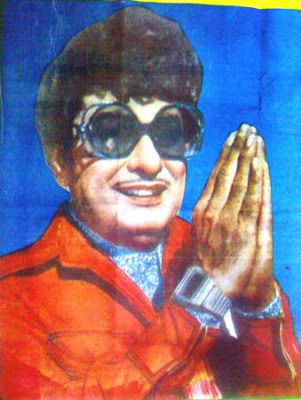 Interested MGR Fans can convey their messages through this email replytomgr@live.in keep mailing.